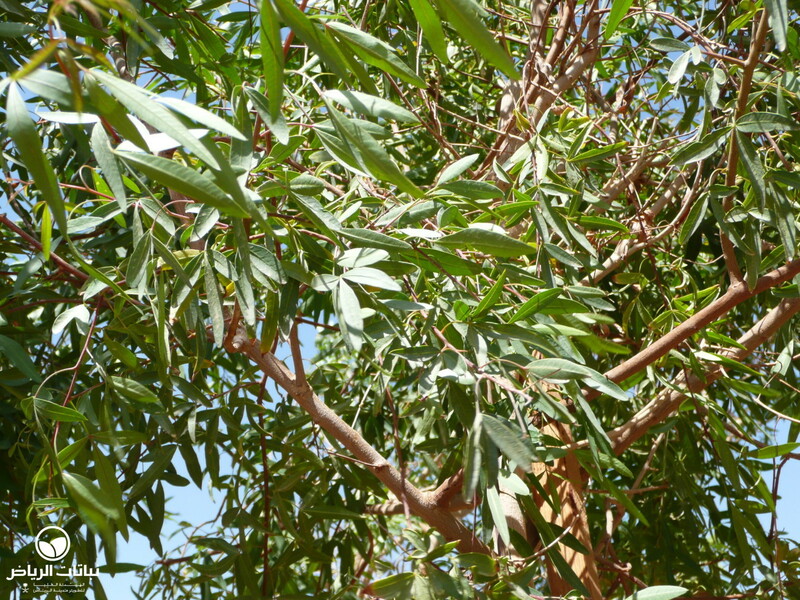 Several species of Rhus, which are native to arid regions such as the deserts of Arizona and Mexico, and also South Africa, have potential for use in Arriyadh. 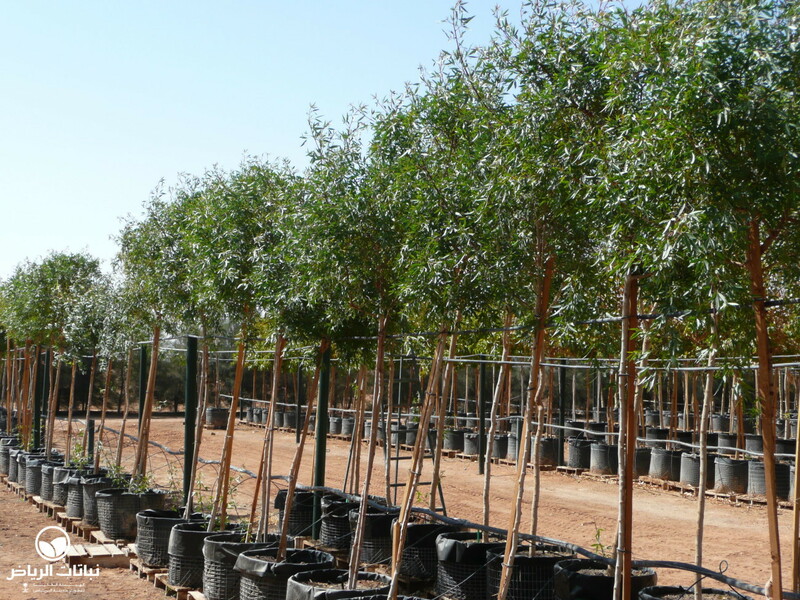 Renamed Searsia pendulina in 2008, the White Karee, originating from and now widely planted in South Africa, is a small ornamental tree which can be found in Arriyadh’s nurseries. 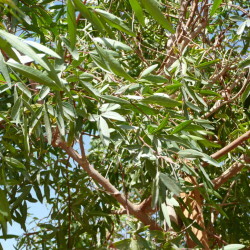 Fast-growing and somewhat short-lived, it will reach a height of about 6 metres and a spread of 4 to 5 metres. 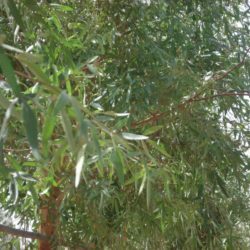 It has a willowy appearance with a rounded crown, and many drooping, weeping branches, usually on a single trunk, the bark of which is smooth and greyish, becoming rough and scaly at maturity. The dark-green leaves are trifoliate. Small, yellowish-green flowers bloom delicately on branching panicles from spring through to summer, attracting bees and butterflies. (Male and female flowers are borne on separate trees.) The edible fruits are small round berries which ripen from red to black, and are eaten by birds. The plant prefers moist soil with good drainage, and flourishes in full sun: it is wind- and drought-resistant, and relatively frost-hardy. Propagation is easy from seed and cuttings. Regular irrigation is necessary until establishment, with deep watering later during the summer months. 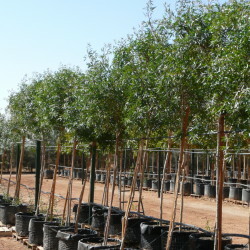 The wood is durable and is used for fencing poles. 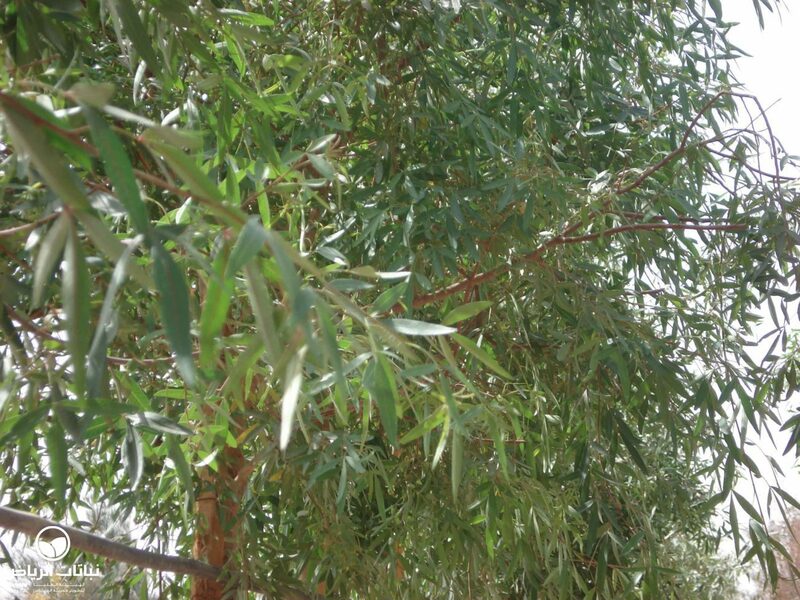 An excellent small garden tree for shade, the roots are not aggressive, so that planting at a reasonable distance from swimming pools or patios is not a problem. Because not much pruning is needed, it makes a low-maintenance street tree.